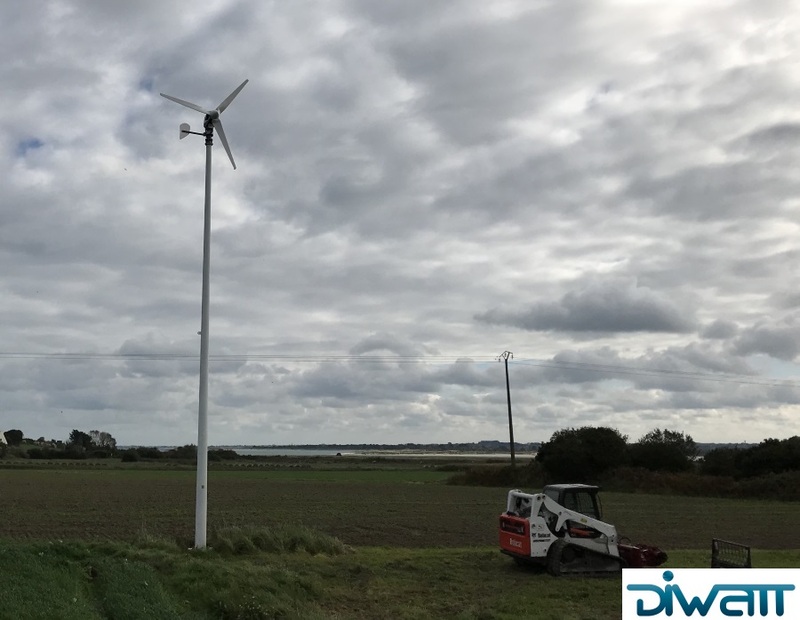 Another finished installations in France, done from our Partner DIWATT. The turbines are working 1-phased grid connected with ABB/PO Inverter on customers designed monopole towers. If you have more questions concerning those projects, please feel free to contact us. Montageaufbau von der Antaris 2.5 kW in Frankreich. Die Anlage arbeitet 1-phasig netzparallel.